Choosing the Boat that Best Suits Your Needs. There are truly thousands of boats available to you and no two are exactly the same. As you begin your search, the number of choices can be overwhelming. Once you begin to understand the features of different boats, your requirements and budget, the field will quickly narrow. We can assist you with this process. Give thoughtful consideration to how you plan to use the boat; your budget; what type of environment you will be boating in; who will typically be boating with you 90% of the time; what your present boating skill level is; where will the boat principally be berthed; what upgrades do you plan for your boat; who will perform the required maintenance; and what are all of the boating services available to you. We work closely with you to understand which boat, or boats, will best suit your boating requirements. The Buying Process. The process of purchasing a boat is very similar to buying a home. An "Offer to Purchase Agreement", detailing the conditions and any contingencies of the purchase, is defined. This form is basically standard in the industry and is developed to protect both the buyer and the seller. A written offer must be accompanied with a good faith deposit, typically 10% of the initial offering price. This deposit is held in your name in a trust account and is fully refundable to you if any contingency of the contract is not met. Your earnest money deposit validates your offer to purchase a vessel. Your offer is normally subject to personal inspection, sea trial, survey and some other provision you might require. If you terminate the transaction, for any reason under the terms of the contract, your earnest money is promptly refunded. Vallarta Yachts recommends the services of Marine Documentation Services (MDS) of Anacortes, WA. MDS acts as a closing agent and handles all of the paperwork necessary to transfer ownership whether by state registration, US Coast Guard documentation, or foreign registered. All money is transferred in and stays in a US trust account until the time of authorized disbursement instructions. Transactions are subject to applicable US banking and consumer protection laws. MDS is a leading provider in vessel documentation, titling and closing services for both national and foreign clientele. It’s in the best interests of everyone involved to have an offer contract, subsequent counter offers or addendums be as clear and specific as possible with regard to price, terms, conditions and schedule. As your broker, we work hard to represent both buyer and seller fairly and to successfully negotiate the terms of the Agreement and a mutually acceptable price. Completing the Sea Trial and Survey. The standard contingencies are personal inspection, sea trial and survey. The buyer may also require other contingencies for specific purposes. The surveyor works for you, the buyer. It is important that you choose a qualified marine surveyor who will work in your best interest. There are many surveyors to choose from and perhaps you have a favorite. We are happy to recommend surveyors in our area for your review of their credentials and rates, if you choose. The costs of completing the inspections are insignificant when compared to your investment in the boat and should be performed to the highest standards. As your broker, we work closely with you through the entire process. We can assist with any questions you may have or refer you to the right source. Please remember, that if for any reason you are unhappy with results from any phase of the sea trail, survey or personal inspection, your deposit is fully refunded to you. What About Other Costs Involved. In addition to the purchase price of the vessel, the buyer is responsible for survey inspections and haul out fees. At the time of closing, the buyer is also responsible for the titling services and re-documentation fees. Then, of course, there are taxes. Purchasing a vessel in Mexico is an "offshore purchase" and may yield tax advantages. We will be happy to discuss different options in general, but it is the responsibility of each individual to research the tax laws in your own particular home location and situation. There are no Mexican taxes when an offshore purchase takes place. Completing the Required Paperwork. Once the sea trial, survey and any other contingencies have been successfully completed, it is now time to process the paperwork. As your broker, it is our responsibility to provide information and direction as agreed upon by both buyer and seller in the final executed offer contract to Marine Documentation Services. MDS checks the current title of the vessel for qualification of ownership, and a new title and bill of sale are prepared. Closing statements covering all financial transactions are documented for both the buyer and the seller. Funding for the sale is collected. If the seller has an existing loan on the boat, MDS will make arrangements to satisfy the mortgage and insure a clear title. If you are financing the boat, MDS can coordinate the financial transactions and paperwork. Finally, MDS works closely with you to expedite the transaction and obtain your new registration. Insurance, Slip Rental, and Services. You must carry Mexican liability insurance on your vessel while in Mexican waters. Marinas, haul-out yard, and even some port captains will ask for proof of coverage. You should contact several insurance providers, especially those who specialize in marine insurance, to determine the best coverage and rates. We will be happy to give you recommendations of reputable insurance brokers who we have worked with and who can provide the coverage you need within Mexican or other international waters. There are currently 3 marinas in Vallarta with slips easily available throughout most of the year. It is recommended to make reservations, especially during high season, if you have specific needs. Rates vary from marina to marina and from high season to low season. Each offers various options for your consideration regarding location, amenities and price. All three marinas offer live aboard accommodations. Whether new or previously owned, boat ownership always involves maintenance. Usually, a new owner will want to take care of any maintenance items or equipment upgrades found during the survey. Your insurance provider usually requires any safety deficiencies found during the survey be corrected as well. 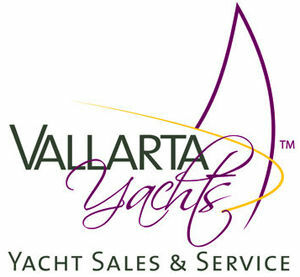 Vallarta offers all marine related services and supplies that any boating community requires. With a first class boat yard, chandleries, and marine professionals including sailmakers, riggers, refrigeration, diesel mechanics, electricians, canvas workers and boat maintenance workers, you are in good hands. Vallarta also offers launch ramps and fuel docks, as well as dry storage facilities. Transport/Shipping to Different Location. With an international clientele, we often have need to relocate a vessel. There are several options for you to consider. We can assist with recommendations for ship transport, delivery captains or trucking. We have successfully served clients throughout Mexico, the United States, Canada, and over seas. Most of our clients, however, enjoy extended cruises aboard their boats in the beautiful cruising grounds of Mexico. We look forward to assisting you in finding the right vessel for your boating needs wherever you live or plan to keep your boat. How Can We Help. Let us know what you need. We are at your service. We can assist with recommendations for hotels conveniently located near the marinas, transportation, and good restaurants to dine while here. As your brokerage professional, we hope to be an invaluable resource to finding all of the boating services and marine professionals that you will need to keep your vessel seaworthy and keep you enjoying Paradise!